With Super Mario Odyssey nearing its release, here is everything you need to know about Mario's newest adventure for the Nintendo Switch. Super Mario Odyssey is the latest game in the long-running Super Mario series developed and published by Nintendo. With the game nearing its release, here are some facts about the newest Mario game for the Nintendo Switch. The story of Super Mario Odyssey is similar to most Mario games: Bowser kidnaps Princess Peach for a ridiculous reason. Bowser’s reason for kidnapping Princess Peach now is to force her into marriage, making him the king of the Mushroom Kingdom. Once again, it is up to Mario to save the day. This time, he needs to travel to different worlds to collect Power Moons. These Power Moons will help Mario gather enough power to defeat Bowser. Mario will also be accompanied by Cappy, a strange creature who looks like Mario’s cap but with eyes. Like other recent Super Mario titles, Odyssey is also a 3D platformer with a twist. 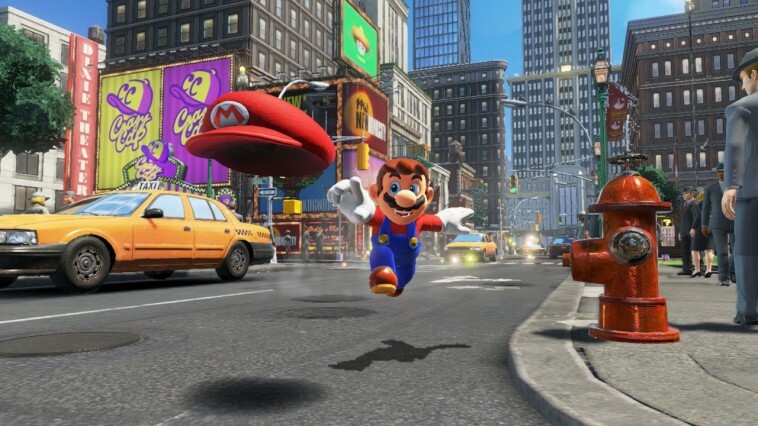 Mario can use Cappy to “capture” monsters or enemies and take control of them to utilize their abilities. This mechanic is also crucial in some puzzles, as you need a specific enemy skill in order to complete a puzzle. Mario can also use Cappy to act as a platform or to activate switches. In addition, the game no longer has the “game over” screen. Instead, Mario loses 10 coins while respawning to a nearby area. Also, each world in the game is no longer separated into levels, the completion of the world is now indicated by how many Power Moons you collected in that specific world, similar to how the Stars work in Super Mario 64. The Power Moons are collected almost anywhere in the map, not just by defeating bosses, as the moons are hidden somewhere deep within the world, or it is obtainable by helping NPCs in that world. Moreover, despite being a 3D platformer, there will also be 2D section in the game where Mario needs to stick to wall in order to advance to the next area (similar to the mechanic found in The Legend of Zelda: A Link Between Worlds). This mechanic add a layer of depth into the already complex game. New Donk City, one of the more interesting locations in Super Mario Odyssey, is apparently governed by Pauline, who you might remember is the damsel-in-distress in the old Donkey Kong games. Super Mario Odyssey comes out on October 27, 2017 exclusively for the Nintendo Switch. There are also three special amiibo figures coming out on the same date, so stay tuned for more updates.